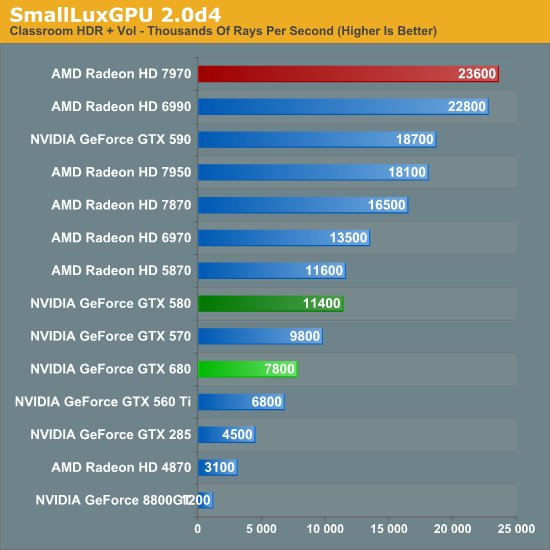 Seeing on other sites, the AMD does overclock better than the NVIDIA card - and the difference in power usage in every day scenario's is that NVIDIA uses a few more watts in idle and a few less under load. I'd agree with my dutch hardware.info site which concludes that the two cards are incredibly close and that price should determine what you'd buy. 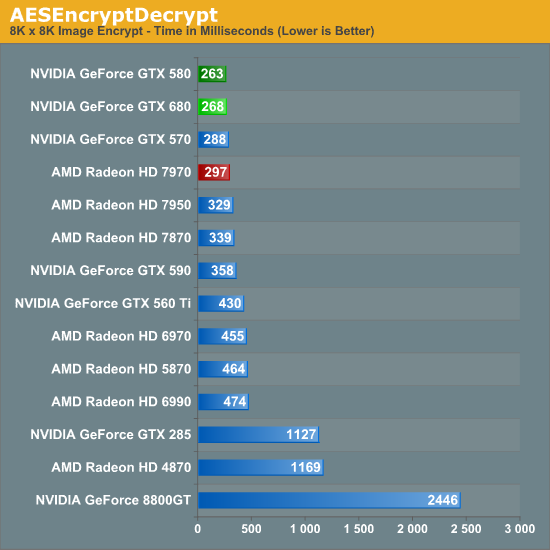 A quick look shows that at least in NL, the AMD is about 50 bucks cheaper so unless NVIDIA lowers their price, the 7970 continues to be the better buy. 7970 makes it to 1200 if it's very lucky. Further, if you don't get that exact model you won't get the overclocks, and they got a pathetic 100 on the nvidia, which noobs surpass regularly, then they used 2dmark 11 which has amd tessellation driver cheating active.... (apparently they are clueless there as well). Mr. AMD Fan Boy then you should compare how was AMD doing it since since the HD 5000 Series. Is it a fair compaison? 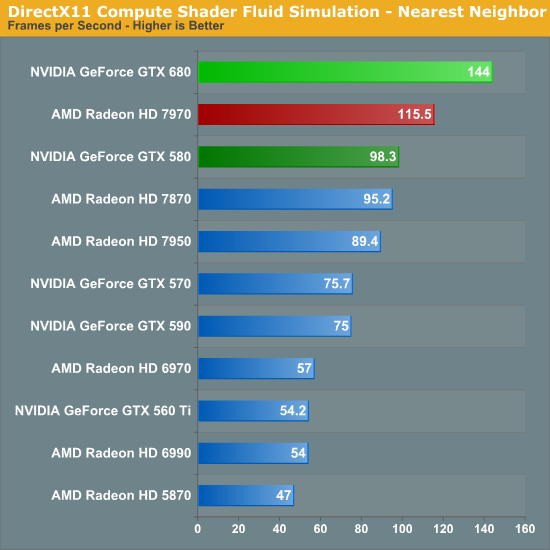 According to your argument the NVIDIA cards were at a disadvantage since the AMD cards were always clocked higher. But still the NVIDIA cards were better. And now that NVIDIA has taken the lead in clock speeds you are crying like a baby that NVIDIA built a souped up overclocked GK104. Yah, I agree here. Clearly, once again, your favorite game and the screen size (resolution) you run at are going to be important factors in making a wise choice. "... but he's correct. The 680 does dominate in nearly every situation and category." Except some of the most consistently and historically demanding games (Crysis Warhead and Metro 2033) it doesn't fare so well compared to the AMD designs. What does this mean if the PC gaming market ever breaks out of it's console port funk? 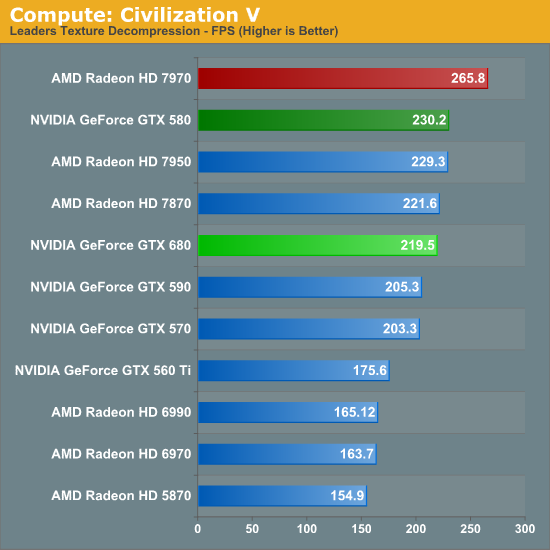 I suppose it's unlikely, but it indicates it handles easy loads well (loads that can often be handled by a lesser card,) but when it comes to the most demanding resolutions and games, it loses a lot of steam compared to the AMD offering, to the point where it goes from a >15% lead in games that don't need it (Portal 2, for example) to a 10-20% loss in Crysis Warhead at 2560x. Nobody cares about old, unoptimized games like that. How about you take a look at the benchmarks that actually, realistically, matter. Look at the benches for Battlefield 3, which is a game that people are actually playing right now. 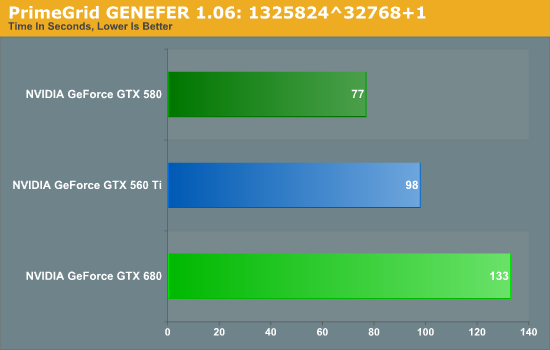 The GTX680 kills the 7970 with about 35% higher frame rates, according to the benchmarks posted in this review.